This enormous white structure is built atop a hill providing you with fantastic panoramic views of the city. 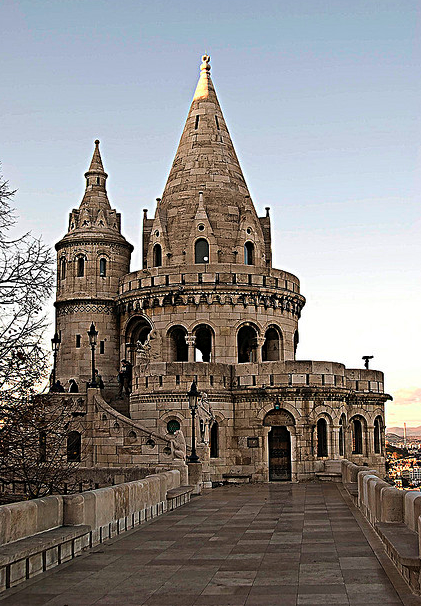 Locally known as Halaszbastya, Fisherman's Bastion was built in 1902 to celebrate the 1000th birthday of Hungary. You will notice that there are 7 turrets, these 7 turrets represent the 7 Hungarian tribes that originally founded the country back in 895 (yes, 895, not 1895). There is a bronze statue of St Stephen who was the first Hungarian King (1000 - 1038). At the center of this is the Matthias Church, you may find it odd that the bastion surrounds it and that is actually because during the restoration and redesign of the church, the bastion was being built and it incorporated the church within its design. While it looks imposing from below and you would think this was a fortification, it actually wasn't. It was built to serve as a viewing terrace which is why there are so few actual walls. 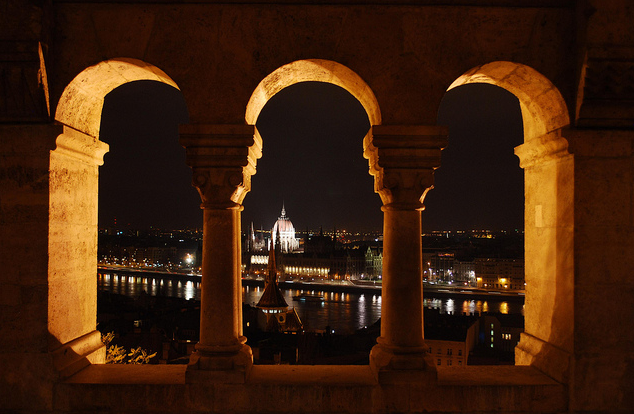 Be sure to come during the day and night for a different view of the surrounding areas as well as the Bastion itself. The Bastion is actually open all year round, day and night and is free! You only need to pay if you want to go up the turrets. Come visit again next Monday for another Future Point of Interest!